Dog collars are made from high-strength 550 paracord. 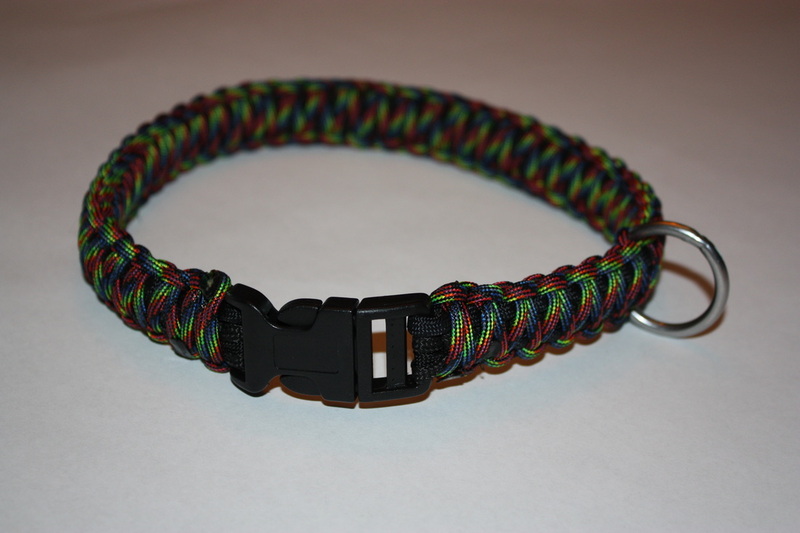 They are made with a strong plastic clip and a metal ring for dog leashes. All dog collars can be custom ordered in any color combination that you choose. They can be made with one, two, or three different colors. 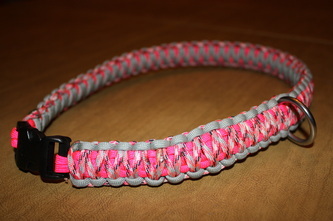 Dog Collars are $25.00, shipping not included.